Derry have been drawn at home to Wexford in Round 2B of the All Ireland Qualifiers. Brian McIver’s men will go into the clash, expected to be on July 11th, as favourites although Wexford showed in Saturday’s shock victory over Down at Innovate Wexford Park that they will be no pushovers. 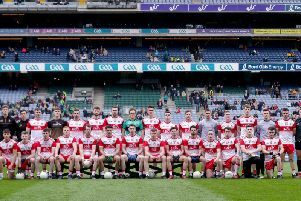 Elsewhere, there were also home draws for Tyrone who entertain Meath after the ‘Royals’ were shocked by Westmeath in Sunday’s Leinster semi-final while Armagh host Galway. Finally, Tipperary will be hoping to bounce back from their Munster exit at the hands of Kerry when they have home advantage against Louth, winners against Leitrim at the weekend.